“What is Trust?” is the third devotion of its kind. Click here to see the first devotion on hope, the second devotion on love, and the instruction page. 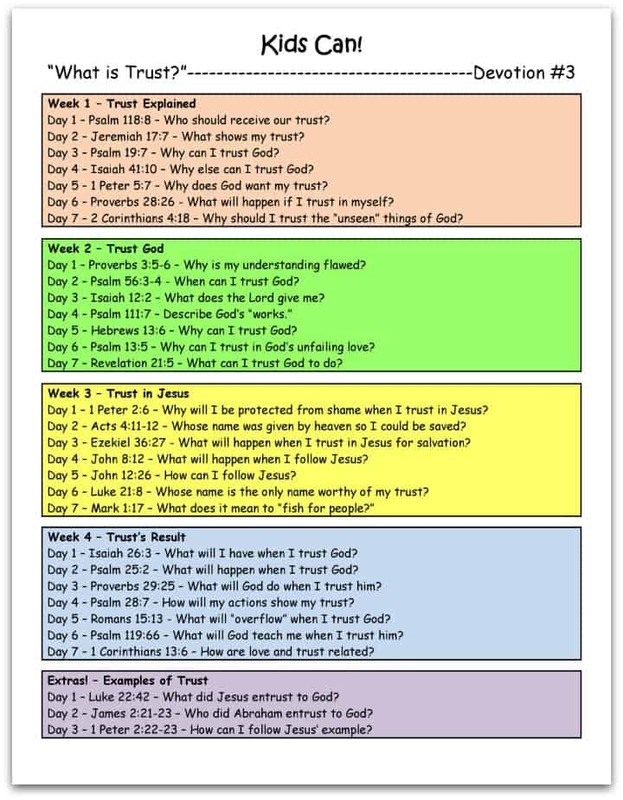 Children are given a scripture to read and a question to answer each day to practice studying God’s word. While it can be hard to trust imperfect people, especially after they have harmed us or hurt our feelings, children will learn that they can always trust the God who made them. Click on the preview image above to download the print-friendly version. Tony Kummer (Editor) reviewed & updated this page on : September 27, 2016 at 2:26 pm. All our content is peer reviewed by our readers, simply leave a comment on any post suggest an update.